every so often, josh & i stumble upon a random little gem of a restaurant. 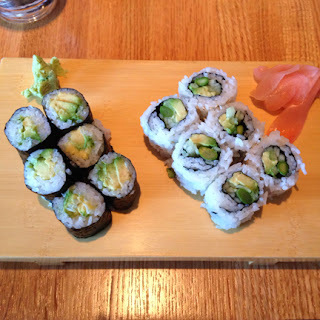 our most recent discovery was introduced to us by my mom & brother ... umi restaurant, located in irving park. we went there one sunday night to celebrate my brother's birthday : hbd, jeff! 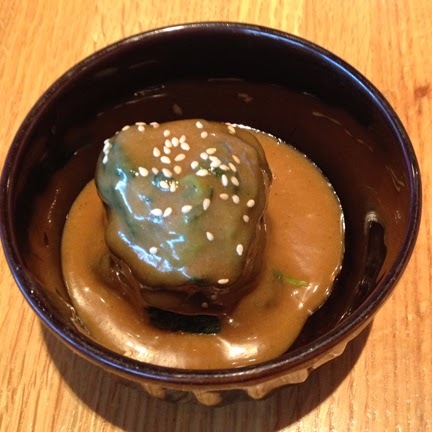 umi offers the "fresh, clean flavors of japan in a casual, yet elegant atmosphere." perfect. and even though the restaurant is located in a strip mall ... when you walk inside, it's really very nice. 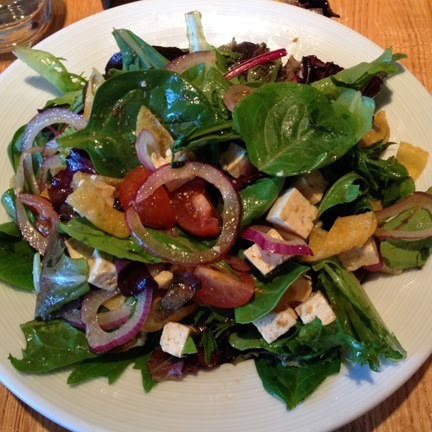 fresh tofu tossed in a tangy vinaigrette served with greens. this salad was much larger than i expected ... but perfectly delicious. all veggies were very fresh & super flavorful. boiled spinach in a miso sesame dressing. avocado + avocado, asparagus & cucumber. your basic maki ... the vegan sushi staples. umi offers a few other vegan salads & rolls ... and some of the noodle dishes may have also been vegan (but i didn't ask). if you're looking for something quick & easy, umi is a great option.